Paid seats went from 300,000 to 800,000, total users went from 1.6 million to 4 million (2.5X growth), and employees went from 80 to 250. 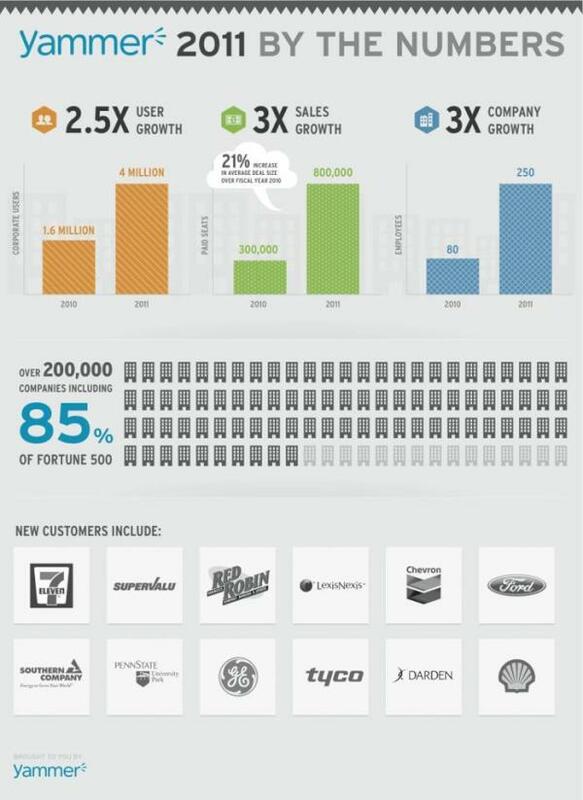 Also, all told, 200,000 companies are using Yammer, including 85 percent of the Fortune 500 (and TechCrunch). We just can’t quit you (although we’ve tried). Some of these stats CEO David Sacks already shared with us earlier, and he also told us that sales tripled. But the 800,000 paid seats number is new.Yammer is in the process of raising a large $40 million round.